And thus the ambiguity and cynicism of this brand new corner of the Marvel Cinematic Universe is laid out. The Netflix-Exclusive Daredevil series isn’t dark and gritty just to be that way, the way DC is allegedly trying to force their superheroes into that corner of “realism”. Daredevil is a series about a disabled lawyer who realizes that the law doesn’t always work and he must become a vigilante, which lends itself in that premise immediately to a more violent and visceral world. Because of this, the series is darker than anything else that Marvel has put out, but it also may become to superhero serials what The Sopranos was to dramatic television. The almost 11 & ½ hours of runtime from the thirteen-episode Netflix series is a profound entry into the world of comics brought to life, and may be one of the best things Marvel has produced to date. Since this is a made-for-Netflix television series, the obvious most important part of this is of course visuals. And not how much do characters look like their comic book counterpart, although there are moments where as a comic fan I was amazed by how spot-on they did in casting. What I’m concerned about though is more to do with cinematography, lighting, staging, back drops, etc. First, the fact that they actually filmed in New York City is a huge plus. Instead of that vague sentiment which I’ve never understood about the city being its own character, the grand design of the city packed in on itself gave the story and the characters a great intimacy. There was one moment where I thought “he’s on the rooftop from Birdman,” but I’m just the kind of guy that recognizes and remembers those sorts of things (although I can’t remember my mom’s birthday for the life of me). The second aspect which is the visuals as a whole actually switch from episode to episode due to the changing of directors. This is expected because it is modeled after a television series. The worst case scenario from this is that sometimes the visuals can be a bit boring. Certain situations of dialogue are stagnant, and you can tell the budget and time limitations of the director by the constant cuts instead of maybe moving the camera through the scene in an interesting way, or have the characters move either with a moving camera or with a stagnant one. Those little things and thinking scenes through like that really change the visuals of a film or television series and set it up on another bar. Most series typically do not bother with these types of set-ups since they can be extremely time-consuming, and I probably wouldn’t have even brought up the fact that they do this. But in the second episode, at the end Daredevil is tracking down where a group of Russian mobsters have taken a kidnapped child. The scene plays out in one long camera shot as an angle specifically shot only from the hallway shows that the child is in the room at the end of hallways and there are two rooms off-shooting the hallway with around ten men split between them. 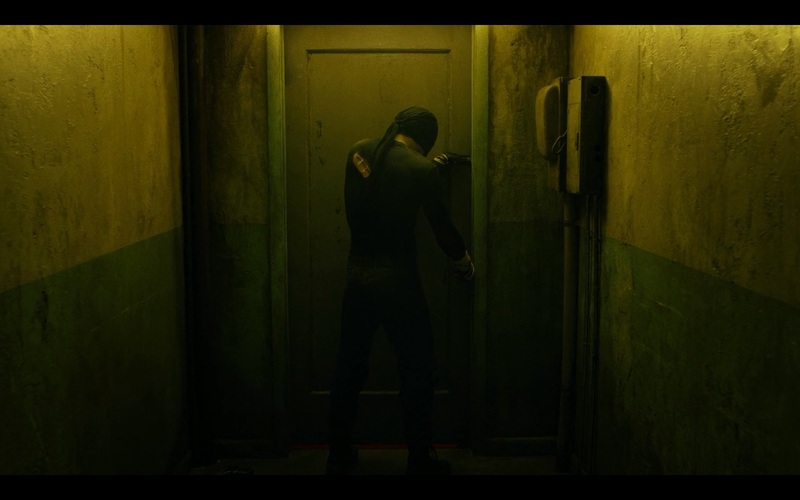 Daredevil shows up and proceeds in what looks like one singular take shot only from the hallway to fight these men. In what I took as homage to that brilliant fight scene from Oldboy (the original, not the so-so remake), the series raised its own bar for my expectations for the rest of the series. 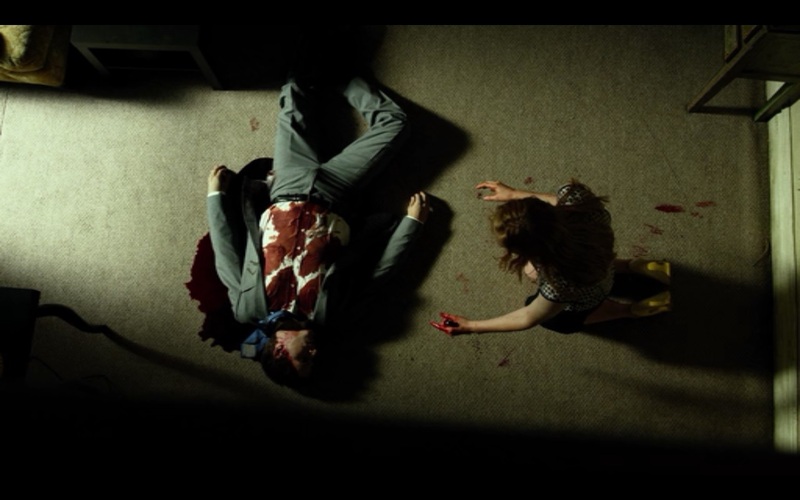 This was one of the best scenes of action I had ever seen in a television series. If you hate comics and this series has no interest for you, please still just watch the final fifteen minutes of episode two. Scenes like that remind me of watching Jackie Chan movies as a kid, and you can’t help but enjoy because you understand the intense time and effort everyone involved gave to entertain you with the highest caliber of action. With all that said, that masterful scene did raise a bar that the rest of the series did not live up to. Later on especially, Daredevil is fighting a ninja from what looks like The Hand, and the rapid edits and cuts to different camera angles with every swing of a fist or every kick stick out like a sore thumb. It isn’t that that is a bad thing. Most large-budget action movies in America still shoot that way, but I had my expectations set a bit high straight out of the gate. But I think that has more to do with directors. 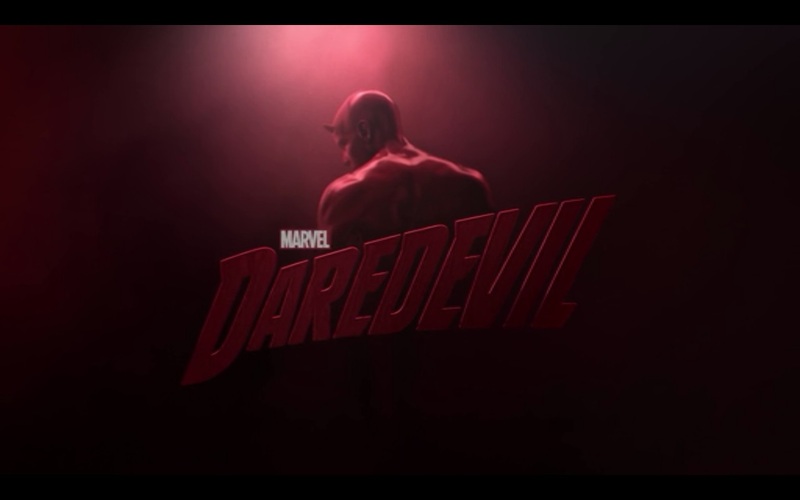 There are one of two episodes which have very boring visuals and the lighting isn’t too impressive (the one where Daredevil fights the Hand ninja is one of those). For the larger percentage though, this isn’t actually the case. While some of the action isn’t as impressive as the one I mentioned above, certain scenes from the light and the camera angles look like they could’ve been lifted from an Alex Maleev drawing. The way they were able to make the shadows hide portions of the actors’ faces, but still show just enough for you to understand completely what they were expressing was an impressive feat. This is a dark series, but it isn’t washed out with shadows to the point of not seeing anything. Occasionally they do play with you not seeing things happening in the shadows, but if they present a fight, even in the dark, they do not blatantly use the lack of lighting to go lazy on the choreography. Yeah, that’s a weird quote to put in a review since a review is a judgement. 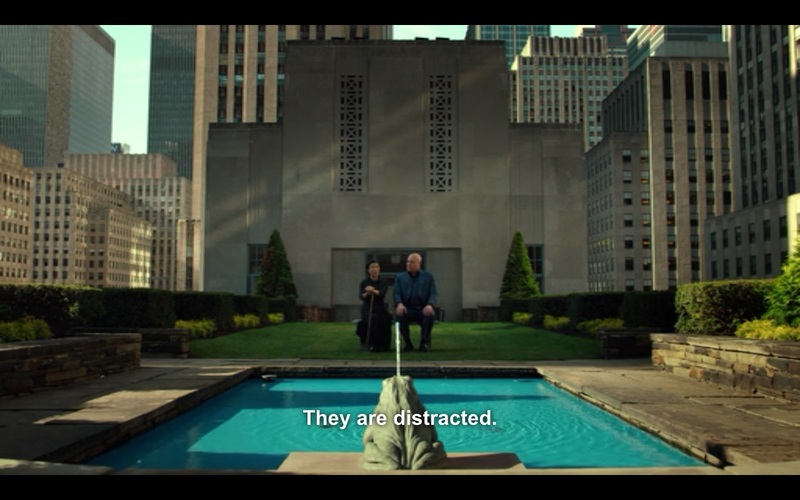 But, what I want to refer to here the best character in the entire series: Wilson Fisk. Obviously Fisk (aka The Kingpin in the comic) is the main villain in the series, and from blowing up buildings to using a car door to remove a man’s head from his body we are never in doubt that this is the villain. But what is brilliantly done in the series is that we are offered the chance to be in denial about how evil he truly is. We are shown a complex character that is both equally well-written and well-acted. It should go without saying that Vincent D’Onofrio is a brilliant actor, and not only the weight he brings physically to the character, but the emotional weight makes this one of his best performances I’ve seen from him. But even with a great actor he must be given a great role and a well-written part. He is in this case. Not to give too much away, but the brute of anger juxtaposed to a wounded child gives what I think is the best incarnation of the character in any medium. The depth of emotion and intense loyalty of Wilson Fisk creates a compelling villain, not that you cheer for, but that you sympathize and empathize with. There is an amazingly haunting and beautiful monologue the character gives on the bedside of his love interest in Episode 11 about his history with prayer that unlocks even another layer to this brilliantly written character when you didn’t think there were any more to discover. But that doesn’t detract from the other actors and characters. Matt Murdock/Daredevil is well handled and is expertly written as well. There is a yin and yang to his story with Wilson Fisk as they both attempt in their own ways to make Hell’s Kitchen a better place. They also do not play up the story line that every other superhero television show uses in overkill which is the “how does he handle two lives” question. While the delve later on into the series on how a lawyer could become a vigilante, and they deal with consequences of his adventuring on those lives closest to him, it is not an over-kill each episode as in Arrow where they’ve gotten to the point that each episode is someone else finding out his identity. That storyline gets old, and I’m glad they didn’t go there. The supporting cast of Foggy, Karen, and Ben Ulrich are all fantastic too and are each given their own character arcs and stories which help flesh out the world of Daredevil. All together the characters create a dense and immersive world for the viewer, but there aren’t so many characters that any feel truly detracted and ignored. This series achieves a beautiful balancing act of characters which only the best comic series have. “Misspelling ‘Chanukah’ is a mistake. Attempted murder is a little something else. Although this is a wonderful series and one that I love, it isn’t without its fault. As mentioned above, there are a at least two episodes with fairly boring visuals, but everything is well-written enough that this doesn’t detract too horribly. Probably my largest complaint about the series is the short attention given to the character Stick. For such an impactful and vital character to the history of Matt Murdock he comes and goes relatively quickly in one episode. Especially given the conflict between the two of them in that episode, the overall resolve felt rushed and a bit glib given how much other character development was spent on even just singularly and stereotypically name Russian mobsters. They had better arcs and development than the second most important “father” in Murdock’s life which didn’t sit with me well. Rosario Dawson’s Night Nurse character also felt used more as a plot device and less for her character. Yeah, we get she keeps on telling him to use body armor. If the series Arrow should teach anyone anything, sometimes the suit doesn’t need a back story. But a female character who was there only to stitch up Daredevil’s wounds and show how impossible it is for him to get too close to a woman made her feel like a cliché more than a character. My final complaint is the single use of Daredevil’s ‘vision’ in the series. One scene shows how he sees Rosario Dawson’s character, but no other moment do they use this. While I like how they typically show the use of sensory perception, his ‘radar sight’ could have been incorporated more than once. And the perfect time to incorporate it could have been in the opening credits. 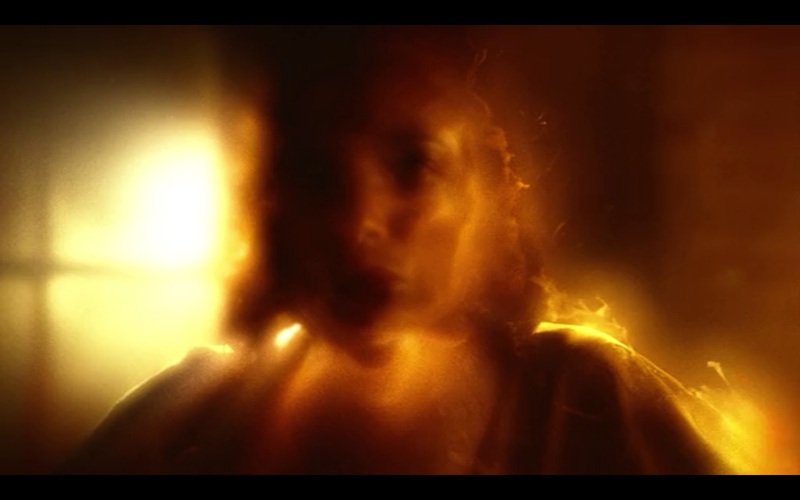 Instead of Hell’s Kitchen burning to life a la Horn Head’s keen senses, we get an obvious Hannibal rip-off. And I do personally think Hannibal is the best thing to appear on TV in a long time (seriously, it’s the best show I think I’ve ever watched), the one aspect that you shouldn’t bother ripping-off is its opening credits. Yeah. If you can’t tell I had to dig deep to find actual issues I had with this series. 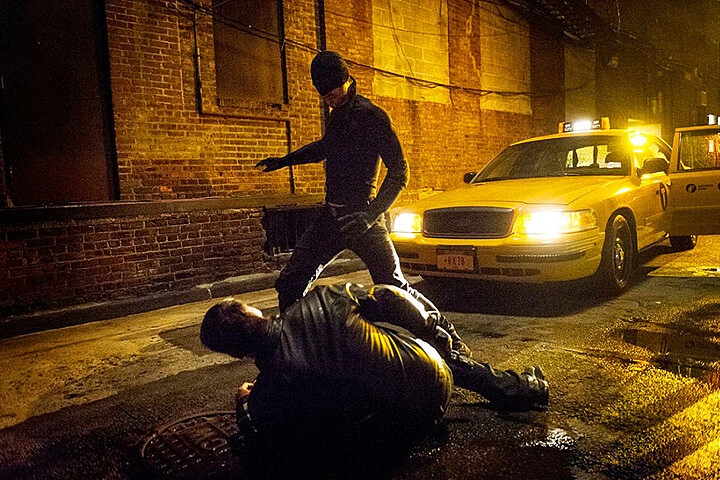 Overall, Daredevil is a fantastic example of how Marvel is handling its properties over DC. Instead of just creating a gritty and realistic universe and molding their characters to fit that design, Marvel is fitting each character to a unique genre. Whether it a taut political thriller in Captain America: Winter Soldier or a fantastical sci-fi epic like Guardians of the Galaxy, Marvel is making the right call for each character/team. They’ve done it again with Daredevil by creating a grounded crime drama, but they’ve expertly still made it fit inside the same universe with the only pure superhero film they’ve made yet, The Avengers. Not everything they are making is near perfect, but all are pure fun. This is both. I highly recommend you watch this series. And yes… if you’re not a subscriber already, it’s totally worth subscribing to Netflix, even if only for a month!